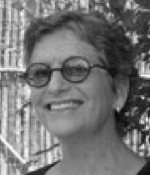 Leslie Nathanson is President of Nathanson/Juris Consulting in Santa Fe, NM and was a founding managing director of the Roberts, Nathanson & Wolfson Consulting Group in Chicago (now RNW Consulting). Her consulting emphasizes the implementation of strategy and the development of practices and cultures which help organizations manage complex change. She assists people from the chief executive to front line employees learn behaviors that support high-performing organizational climates: leadership, team building, cultural transformation, and conflict resolution. Leslie advises executives in a wide range of industries, including healthcare, professional service, media, major financial institutions, large and small manufacturing organizations, universities and museums. Her current assignments focus on advising CEOs and their top teams as they negotiate increasing difficult economic and competitive conditions. Before she founded Roberts, Nathanson & Wolfson in 1995, Leslie began Nathanson & Associates in 1980 and The Carlson/Nathanson Group, Inc. in 1982. She has taught in the Executive Master’s Program at the Kellogg School and the Smith Management Program in Northampton, Mass. She also taught regularly in the executive programs of Northwestern’s Media Management Center. She is co-author of Small Group Problem Solving: an Aid to Organizational Effectiveness (Addison-Wesley, 1981). Leslie lives in Santa Fe where she continues consulting and spends her time and energy on the board of NDI-NM—an organization that helps children believe in themselves and the BeCause Foundation of Chicago. She is an emeritus director at Creativity for Peace—an organization that brings teenage girls from Israel and Palestine to learn about peace with one other, and to take leadership roles as peacemakers in the Middle East. She is also a former director of Ameristar Casinos. Leslie holds a BS degree from Tufts University, an MA from Northwestern University, and a PhD in organization behavior from the Kellogg School, Northwestern University.